91. Lima, D. R.; Jiang, N.; Liu, X.; Wang, J.; Vulcani, V. A. S.; Martins, A.; Machado, D. S.; Landers, R.; Camargo, P. H. C.; Pancotti, A. Employing Calcination as a Facile Strategy to Reduce the Cytotoxicity in CoFe2O4 and NiFe2O4 Nanoparticles. ACS Applied Materials & Interfaces, 2017, 9, 39830. 90. da Silva, A. H.; Rodrigues, T. S.; da Silva, A. G. M.; Camargo, P. H. C.; Gomes, J. F.; Assaf, J. M. Systematic Investigation of the Effect of Oxygen Mobility on CO Oxidation over AgPt Nanoshells supported on CeO2, TiO2 and Al2O3. Journal of Materials Science, 2017, 52, 13764. 89. Silva, V. B.; Rodrigues, T. S.; Camargo, P. H. C.; Orth, E. S. Detoxification of organophosphates using imidazole-coated Ag, Au and AgAu nanoparticles. RSC Advances, 2017, 7, 40711. 88. 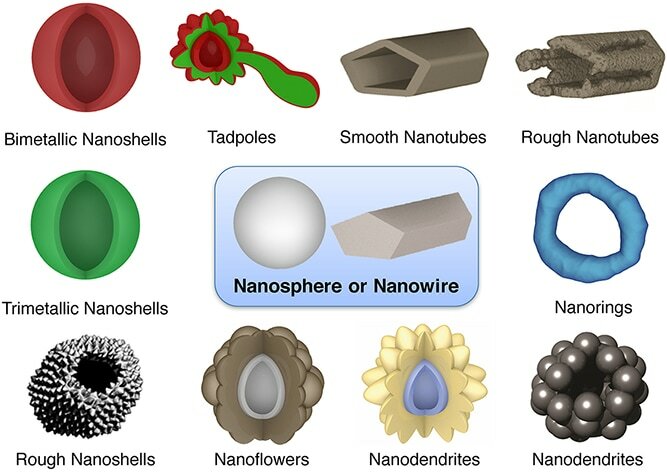 ​da Silva, A. G. M.; Rodrigues, T. S.; Haigh, S. J.; Camargo, P. H. C. Galvanic Replacement Reaction: Recent Developments for Engineering Metal Nanostructures towards Catalytic Applications. Chemical Communications, 2017, 53, 7135. (Invited paper to the Emerging Investigators 2017 special issue, featured on the back cover). 87. Wang, J.; de Freitas, I. C.; Alves, T. V.; Ando, R. A.; Fang, Z.; Camargo, P. H. C. On the Effect of Native SiO2 on Si over the SPR-mediated Photocatalytic Activities of Au and Ag Nanoparticles. Chemistry - A European Journal, 2017, 23, 7185. 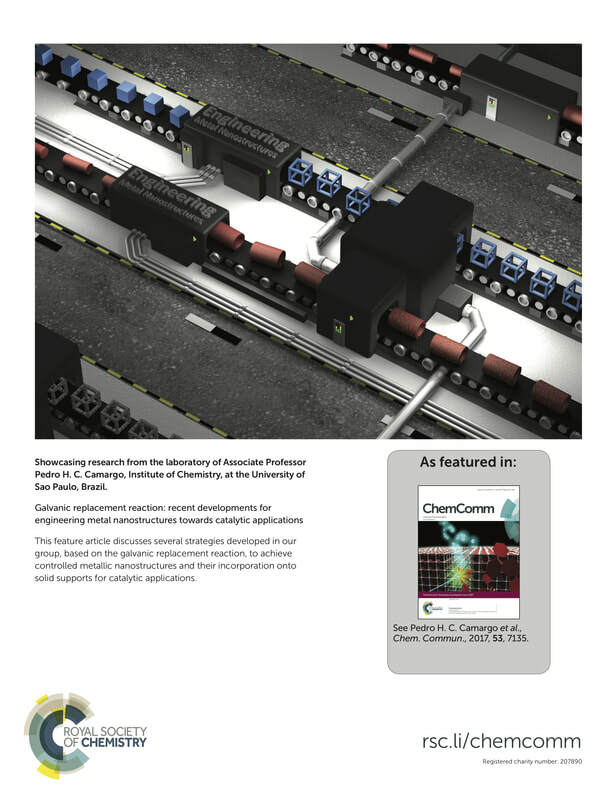 86. da Silva, A. G. M.; Rodrigues, T. S.; Parussulo, A. L. A.; Candido, E. G.; Geonmonond, R. S.; Brito, H. F.; Toma, H. E.; Camargo, P. H. C. Controlled Synthesis of Nanomaterials at the Undergraduate Laboratory: Cu(OH)2 and CuO Nanowires. Journal of Chemical Education, 2017, 94, 743. 85. 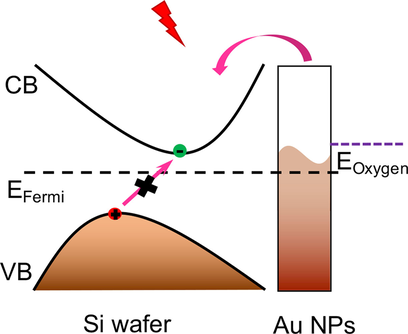 Papa, L.; de Freitas, I. C.; Geonmonond, R. S.; de Aquino, C. B.; Pieretti, J. C.; Domingues, S. H.; Ando, R. A.; Camargo, P. H. C. Supports Matter: Unraveling the Role of Charge-Transfer over the Plasmonic Catalytic Activity of Silver Nanoparticles. Journal of Materials Chemistry A, 2017, 5, 11720. (invited paper to the Emerging Investigators 2017 special issue). 84. Rodrigues, T. S.; da Silva, A. G. M.; de Oliveira, L. C.; da Silva, A. M.; Teixeira, R. R.; Camargo, P. H. C. Cu2O Spheres as an Efficient Source of Catalytic Cu(I) Species for Performing Azide-Alkyne Click Reactions. Tetrahedron Letters, 2017, 58, 590.